There are 3 reviews of Capri Forget Me Not. Initially there is a sharp, fresh blast of Fig and Mint, the latter predominant. The luscious Peach surfaces, supported by Vanilla. None of the citrus or floral notes reach my nose, but it matters not, as these four notes suffice, blending into a unique and beautiful summer scent, uplifting and refreshing. It is quite unlike Carthusia's other fig scent, IO, which is a simple combination of fig and green tea, equally memorable. I like both these fig scents very much and prefer them to Premier Figuier. Both of Carthusia's figs are fresh and summery, highly recommended. I am not one who loves fig centric fragrances. Perhaps I'm enjoying the fig AND a little "sumpin' sumpin'"
The drydown is floral but no one note jumps up & down shouting "Here I am!" This is a "skin scent", very little sillage. That's suits me just fine in the heat & humidity. Overall, pretty but not worth paying full price. I didn't, so I'm going to enjoy Capri FMN all summer long. 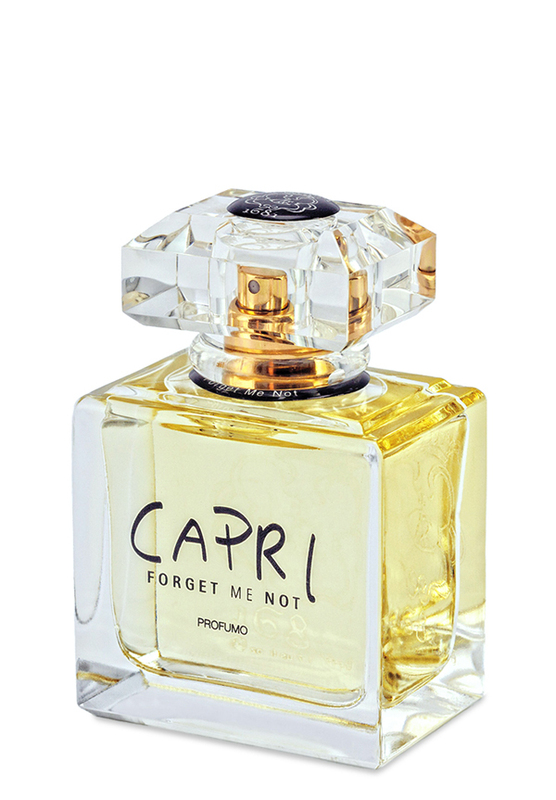 Capri Forget Me Not is a surprising and delightful take on a fig fragrance. At first spray I get a refreshing burst of lime, mint and fig. I am thinking it will replace my usual daytime fragrance, particularly in the summer. The only downside is that it lasted only 2 or 3 hours on me. But it's so refreshing and light that I don't mind spritzing it again. Sillage is low, it's a light scent, but for me that's great during the day or at work. It includes notes of lemon, lime, mandarin, fig, mint, violet, eucalyptus, bucchu, cyclamen, hyacinth, jasmine, artemesia, vanilla and peach. The nose is Laura Tonatto. There are no member images of Capri Forget Me Not yet. Why not be the first?